The first thing you notice when you approach Serifos island in the Cylcades is the barren ridges with the «petrified forms» which are referred in the myth of Perseus. As the ship turns to reach the port you will admire both Livadi and the magnificent Chora with its cubic, white, houses built on a conical hill, resembling frozen white lava. You will be able to see this image from many different locations during your tour to the island of Serifos. It’s the same image that the pirates used to see while besieging Serifos many years ago, aiming for the treasures hidden in its grounds. In the following years the more the ships were leaving the port with the booty in their holds, the more new workers used to come to work in the mines. 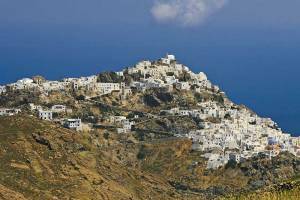 Serifos was full of life until the mines were shut down and it was almost depopulated. The loading bridges, the mines and the trolleys still stand as remnants of those years. During the recent years many young people from all over the world are re-discovering Serifos. 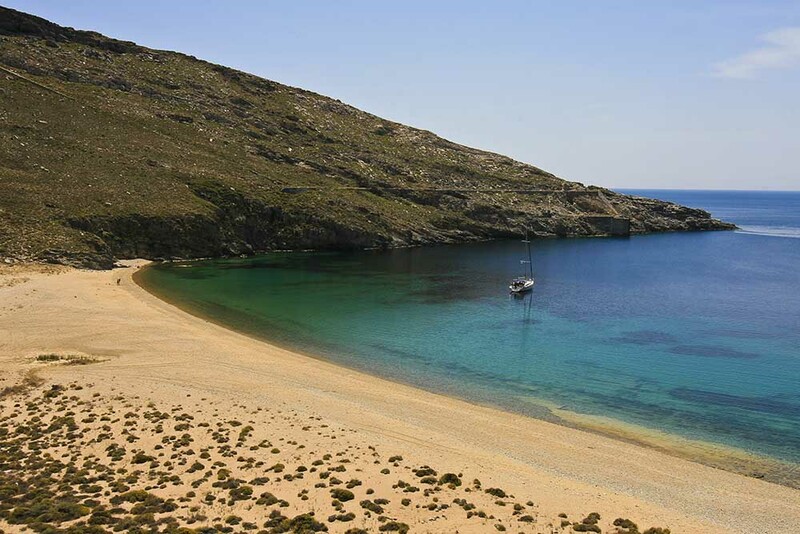 Being spellbound by the intangible and inexplicable excitement that this island emits, visitors stare for hours from the parapets at the wild beauty of Serifos, discover its natural treasures, walk in the trails and swim in amazing beaches with crystal clear waters. Serifos is a magical place that makes people keep coming back to it again and again.